Do Sexual Harassment Lawsuits Chill Opportunities for Women? 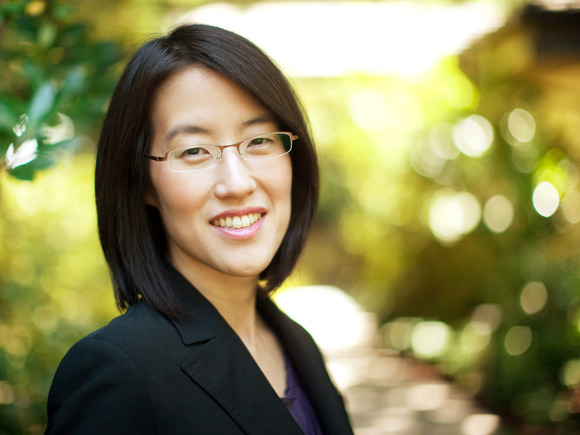 Recently, Ellen Pao, a junior partner at venture capital firm Kleiner Perkins Caufield & Byers, sued the firm charging widespread discrimination against women. She also alleged that she had been sexually harassed and suffered retaliation after she complained about the harassment. Bloomberg published an opinion piece by Amity Shlaes criticizing Ms. Pao’s suit for a variety of reasons. One was that venture capital firms contribute greater economic growth because they are more “creative” and “wild” with a different culture than square “dinosaurs.” Although she acknowledges that “creative rebels have often behaved poorly in their creative workplaces,” her argument seems to be that discrimination and harassment should be overlooked if they take place in a company that generates growth. This argument is patently offensive. Should all legal violations – Occupational Safety and Health for example – be tolerated if the employer creates growth? And what exactly is “growth?” How is it measured? When is it enough to justify turning a blind eye to offenses? Ms. Shlaes then attempts to reinforce this argument by contrasting countries’ treatment of women and the ease of doing business there. The countries topping the World Bank’s list for “ease of doing business” are compared to those highly ranked in Unesco’s Global Gender Gap Report. The U.S. is fourth in doing business but only 17th on the Unesco scale. The implication is that countries can only perform well in business if they treat women poorly. Despite raising the specter of litigation’s adverse impact on job creation and growth, Ms. Shlaes concedes that, with the exception of BP oil spill, tort costs are down. However, she argues that tort claims may move venture capitalists over on the “spectrum of safety.” By any definition of “safety,” that is a desirable result. A comparison of opportunities for women in law, another profession requiring advanced degrees, is useful. Elizabeth Hishon sued Atlanta law firm King & Spalding alleging her failure to be promoted to partner was a result of gender discrimination. The U.S. Supreme Court’s decision in 1984 upholding her right to bring such an action was seen as a major victory for female lawyers. Although statistics are difficult to obtain for the late 1980s, Catalyst reports an increase in women partners in law firms from 13.4% in 1995 to 19.5% in 2011. Many factors may have contributed to this increase. However, Ms. Hishon’s suit clearly did not have the deterrent effect predicted by Ms. Shlaes in the venture capital world. Unfortunately, Ms. Shlaes fails to suggest what actions other than suit Ms. Pao should have taken to remedy her situation at Kleiner Perkins. Ms. Pao alleges she discussed her problems with human resources staff as well as senior partners and ultimately filed a formal complaint. These steps didn’t bring resolution but only retaliation according to Ms. Pao. And as to the “girls” of the next generation that Ms. Shales is concerned about, they’ll keep pounding on the doors of venture capitalists and they’ll be hired. The “wild” “cowboy firms” of venture capital wouldn’t want a female employee who would be so easily scared away. Image Credit Kleiner Perkins Caulfield Byers.